Ideal for various kinds of terrain: the Pordoi Lady GTX are well-constructed walking boots that really shine on hill walks and trekking tours! The upper is made of a combination of high-quality suede and robust Cordura, making the boots incredibly durable and suitable for all sorts of outdoor conditions. The reinforcing seams increase the longevity of the boots, even after lots of use. The light and extremely thin GORE-TEX membrane provide protection in wet conditions and is simultaneously breathable. The high cuff is padded and will support your ankle. This along with the Ghilly lacing will provide your feet with the stability you need. For the necessary traction on difficult terrain, the Hanwag Pordoi Lady GTX were equipped with Multitrek soles. With their tread, they will provide excellent grip and comfort. The memory foam insole allows for the optimal transfer of energy between the foot and sole. 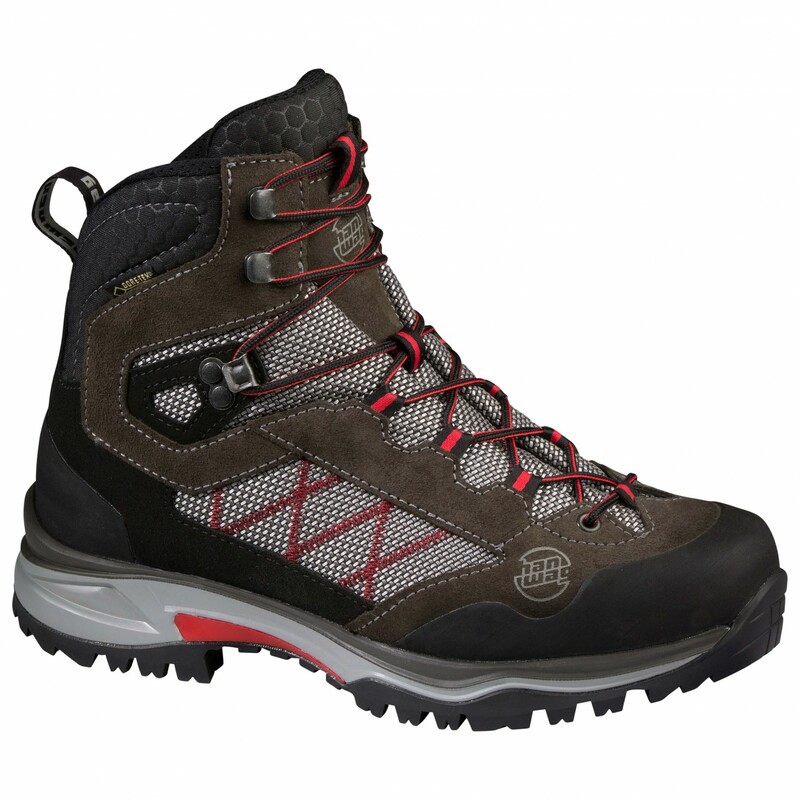 Whether you're going for a hill walk or on an adventurous trekking tour, the Hanwag Pordoi Lady GTX will pave the way!